The opening day of the Allianz Hurling League season had only just ticked by, but already Eamon O'Shea was looking ahead to the first day of the championship. "The only important game for me – and I'll spell it out – is Limerick in the championship. I have no ambitions for the league," he said after Tipperary beat Waterford in mid-February. Now, there's as much chance of Kilkenny winning the All-Ireland football title as there is of Brian Cody talking about the hurling championship in February. As for saying he had no ambitions for the league, it couldn't be forced out of him at gunpoint. But then Cody and Kilkenny always have ambitions for the league, which explains why their trophy cabinet is so full. It's a philosophy others could usefully copy. O'Shea might have had more interest in the league than he let on – certainly there was no lack of determination by Tipperary in the last four games against Dublin, Cork, Clare and Kilkenny in the final – but then they had to increase power after morale-sapping defeats by Kilkenny, Clare and Galway. It worked out quite well in the end. Tipperary got their sloppy period out of the way shortly after St Patrick's Day and improved with every outing afterwards. And while they lost the final to Kilkenny in extra-time, it was probably their best performance of all. It left them well primed for the important pre-championship work as the countdown continued to June 1 – a day that was ringed in O'Shea's diary ever since the championship draws were made last autumn. The date of the first championship game is etched on every manager's consciousness, but O'Shea had more reason than usual to be mindful of this summer's take-off. Tipperary botched it last year, losing to Limerick in a game they should have secured when they went four points ahead in the second half. Full credit to Limerick for the gritty manner in which they battled back, but it has to be said that some of Tipperary's hurling in the final quarter was too bad for words. They made it very easy for Limerick to pick them off. It was a very costly defeat for Tipperary as the All-Ireland qualifiers sent them to Nowlan Park of all places. It was the worst possible draw and, while they hurled well against Kilkenny, it was a bridge too far. Tipperary's championship season was over in two games, so it's not surprising that they have focused so intensely on getting the start right this year. Tomorrow's winners have six weeks to prepare for the Munster final, where the winners will be in the last four and the losers in the last six in the All-Ireland race. That's a massive difference from tomorrow's losers who will face the tough qualifier route, so we can expect the ferocity levels in Thurles to zoom high right from the start. There's no doubt that Tipperary gradually settled their selection issues during the league and now look to have a really good balance. For reasons I don't understand, they're not announcing the team until today, but I assume it will be close enough to the league final line-up, with Pádraic Maher at full-back and Brendan Maher outside him. I'm really surprised by a general depiction of Pádraic Maher that I've read in some quarters as being something of a 'new' full-back. Didn't he win two All-Ireland minor, a U-21 and a county title with Thurles Sarsfields at full-back? Wasn't that where he started out as a senior? He spent most of the last few years at wing-back – and may well prefer it out there – but he's needed at full-back and, physically at least, has all the attributes to be a success. Brendan Maher has settled in well around the centre-back area in a system where, in fact, he's playing as a sweeper with one of the midfielders dropping back to provide extra protection. It will be interesting to see how Limerick work at picking their way through the Tipperary locks, but with TJ Ryan now calling the shots, I'd expect them to go direct. Donal O'Grady's approach is different but he's no longer there so Limerick will probably revert to the style which has long been embedded in their DNA – hit and whip. There's a lot of experience in this Limerick set-up and it's reinforced with a sense of real confidence, emanating from winning last year's Munster title. Playing in Division 1B this year kept them out of the limelight until they faced Galway in the quarter-final, where they turned in a shocking display. In the circumstances, it's easy to forget that they are the reigning Munster champions. Also, they now have their best available team on duty. The fall-out from the O'Grady affair added to the misgivings about what the season held but it happened in mid-April so they have had plenty of time to regroup. 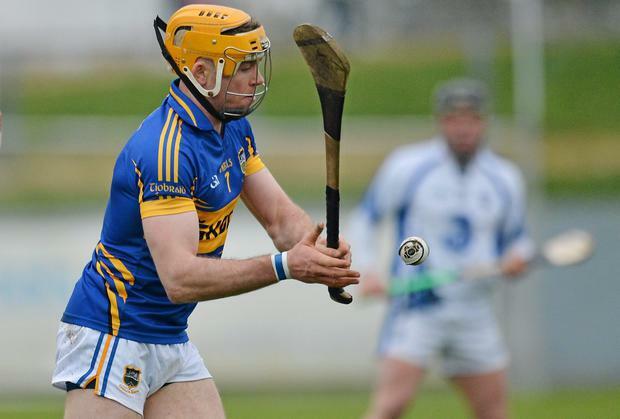 They have done that and will turn in a typically defiant performance but most of the aces still appear to be in Tipperary's pack. If they use them skilfully, they will trump Limerick's best. I was surprised to hear complaints from Antrim and Laois this week about how their championship schedule is unfairly overloaded. That may well be the case, but they would have been better off not bringing it up before tomorrow's Leinster quarter-finals. However aggrieved Antrim and Laois may feel, they can't allow it to become a negative. Players react to that and even lads who wouldn't normally feel tired might think they are when reminded of the busy time they're having. Talk of the system is best left aside until you're through the gap. As for tomorrow's games, they're both very interesting in their own way. Seamus Plunkett's game plan clogged up the supply lines to the Galway attack in last year's Leinster semi-final, keeping Laois in strong contention until the final few minutes, so he will probably go with a broadly similar approach tomorrow. It's difficult to break down, but if Galway are serious All-Ireland contenders, they will have to work their way through the puzzle much quicker than last year. I expect them to do that. Antrim ran Wexford close in the league, but Liam Dunne's lads have come on a lot since then. Whether they will be good enough to advance to the next level later on remains to be seen, but they have enough about them to negotiate tomorrow's challenge. How comfortable they achieve it will offer an insight into their future prospects.